Sonora child photography can involve so many fun settings and themes. This little guy had no choice but to be a cowboy from the start. In fact, his newborn portrait session involved a saddle and a rodeo championship belt buckle. But he has grown to embrace it fully. We shot his third birthday portraits at a family ranch, and he got to show off his own hat and belt buckle and boots. He even proved that he is pretty good with a lasso already. I am sure it will not be long before he earns his own rodeo championship belt buckle! Jennifer - You got some awesome pictures of that cute little cowboy! Samantha Eckhaus - What and adorable family portrait session! I love your use of the cowboy hat as a prop in the photos. It truly incorporated the theme! 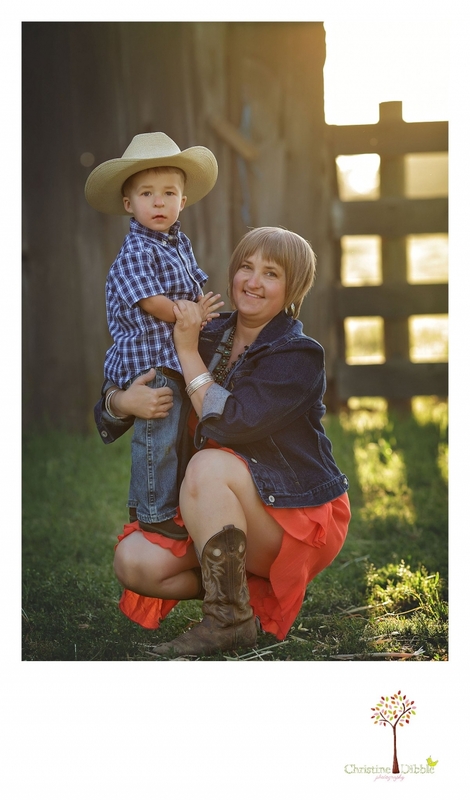 sarah sweetman - wow – what an amazing job you did of this gorgeous mother and son – I love the little cowboy theme they chose – That farm location in Sonora is stunning and really set the scene to showcase them. You did an amazing job! Ruben - Beautiful child portraits Christine! The ranch setting was perfect for these cowboy themes shoot! Dawn - Oh my goodness!!! This is too cute. That cowboy outfit is just so adorable. You do such a good job capturing children!! Brenden - What a cute little cowboy! You did such a great job! I love the ones of him chewing on a piece of straw is absolutely perfect. These are going to make great memories! Dawn M - Precious little cowboy 🙂 These portraits are so amazing and special, I am sure mom loves them to pieces! Christine - What a great photography session this is.. you captured so many cute moments! 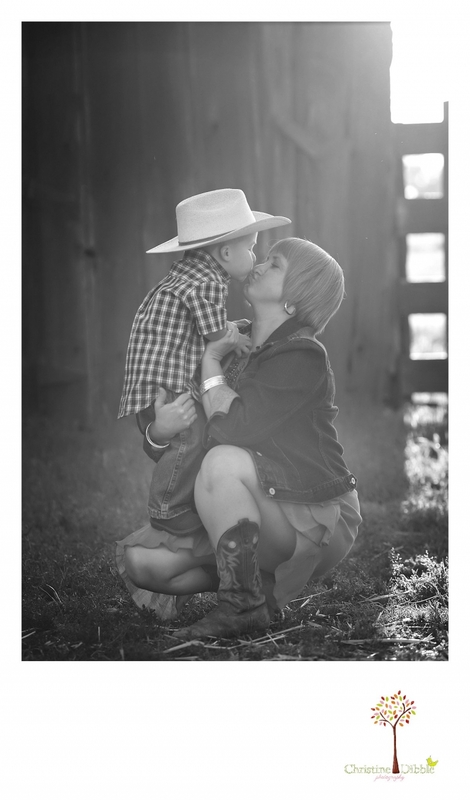 Melanie - Being from Texas, I have an affinity towards little cowboys….how well this was captured! Love your use of light and sun! Kathy - What an adorable little cowboy!! Looks like you captured his true personality. I love the one of him walking away, so very cute! His Mom must just adore these images of her son!